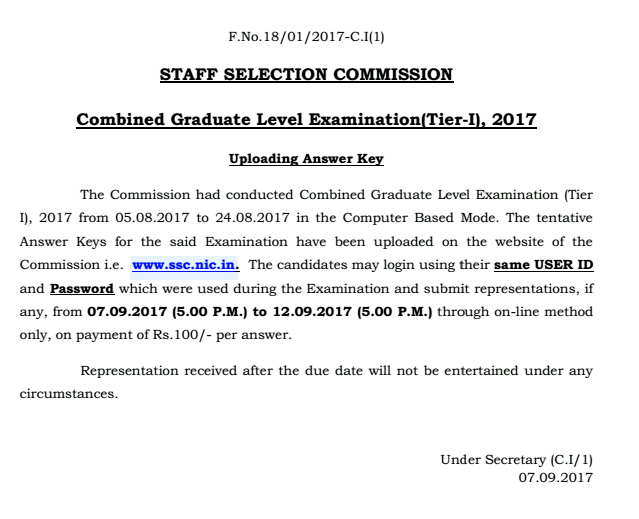 Answer Keys for the said Examination have been uploaded on the website of the Commission i.e. www.ssc.nic.in. The candidates may login using their same USER ID and Password which were used during the Examination and submit representations, if any, from 07.09.2017 (5.00 P.M.) to 12.09.2017 (5.00 P.M.) through on-line method Only, on payment of Rs.100/- per answer.